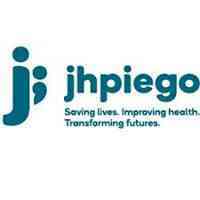 Jhpiego is an international non-profit health organization affiliated with the Johns Hopkins University. For more than 46 years now, Jhpiego has empowered front-line health workers by designing and implementing effective, low-cost, hands-on solutions to strengthen the delivery of health care services for women and their families. By putting evidence-based health innovations into everyday practice, Jhpiego works to break down barriers to high-quality health care for the world’s most vulnerable populations. Jhpiego, implementing a number of projects in Tanzania, wishes to recruit a Monitoring & Evaluation Officer for AIDSFree Project. The Monitoring & Evaluation Officer will be responsible for supporting Sr M&E Officer to assure the quality of program data. The data overseen by the Monitoring & Evaluation Officer will be primarily on VMMC and EIMC programs. The Monitoring & Evaluation Officer will be responsible for working withdata managers to ensure high quality data collection and reporting and ensure data management transition to MOHCDGEC over time for long-term sustainability. S/he will collaborate closely with the Sr M&E officer to fulfill donor required reports, conduct in depth analysis for decision making and work to improve the programs data visualization systems. The person in this position must be able to work independently, be experienced in data management using databases, be able to mentor staff, utilize data visualization techniques, present data to the team and stakeholders, trouble shoot technical issues with electronic data collection and familiar with health facility-based data systems. Collaborate with the technical team to build capacity of VMMC/EIMC providers in recording and reporting service data. Assist to complete all Jhpiego and donor reports in a timely manner and provide prompt feedback to donor requests for information. At least 5 years’ experience in data collection, processing, and analysis. To apply please indicate the position title on the subject line of your e-mail, i.e. Application for Monitoring & Evaluation Officer. All applications should also include an up-to-date CV with three contactable professional references, a cover letter, and your salary history.